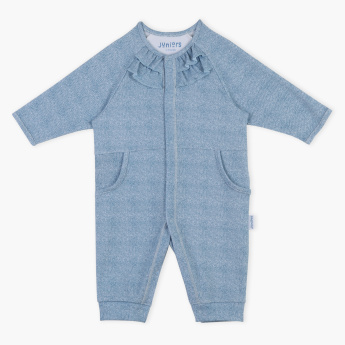 Ideal for a good night's sleep, this delightful jumpsuit is a must-have for your little one. The alluring pocket detail adds to the charm of the sleepsuit and the long sleeves keep him warm. 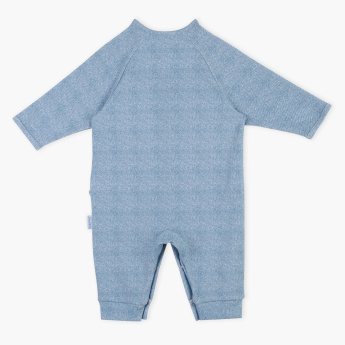 Made of soft fabric, this sleepsuit is easy on your kid's skin. Features : Openfeet sleepsuit with front opening for easy dressing with pure cotton made for extra soft touch and comfort.